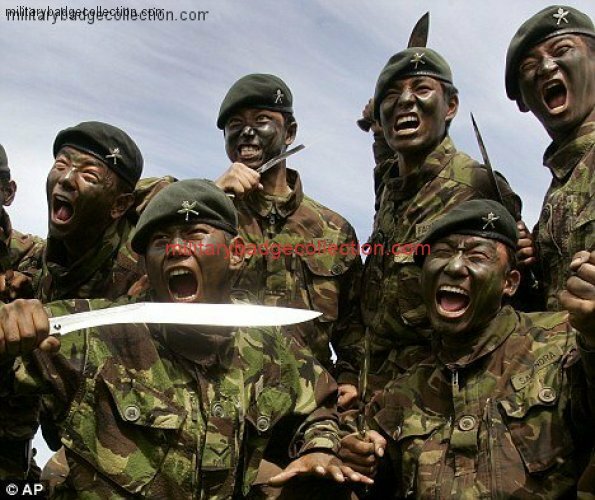 The Queen’s Own Gurkha Logistic Regiment, formerly The Queen’s Own Gurkha Transport Regiment, The Gurkha Transport Regiment and The Gurkha Army Service Corps, was formed as a component part of The Brigade of Gurkhas on 1 July 1958. Her Majesty the Queen approved the redesignation of The Gurkha Transport Regiment as The Queen’s Own Gurkha Transport Regiment in 1992. The Regiment officially became The Queen’s Own Gurkha Logistic Regiment on 5 April 2001. This on is not for sale.